Car insurance is the most popular product that everyone who drives has to have because if you get pulled over by law enforcement without it then it’s going to cost you a hefty fee and your license. There are many companies to choose from when looking for cheap rates but before you start opening up multiple browser screens on your computer, try using one site that has the basic information displayed for many of the top companies in the industry. Using a single resource to start the search makes it a little easier to narrow down the options from those who are outside of your budget and those that may be a possibility. From there the user can click on the applicable hyperlink to get more details from the company’s website which usually requires entry of zip code and basic information in order to receive car insurance comparison quotes. It is important to remember that the information displayed on the website is based on a general scenario that may not apply to your specific situation but it does give a visual on who is more expensive v/s those that run cheaper. Quality vehicle insurance is all about coverage and customer service so if you are going to go with someone who is not as well-known because they are cheaper then you may want to look at online reviews. This information comes from customers and will let you know whether the company is going to deliver on its promises when you need it the most or whether they aren’t worth the low cost and it’s better to spend a little more money. 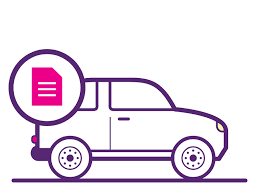 Remember that even if you currently have car insurance that it is good to check for competitive quotes every so often to ensure that you are getting the best deal. Companies will often reassess an area and increase or decrease based on various factors which can help or hurt customers depending on their situation. By checking for car insurance comparison quotes you can maintain the same level of coverage but possibly pay less which is always good for the monthly budget.